Last week, Rick Bozich of the Louisville Courier-Journal heard rumblings about IU recruit Devin Ebanks backing out of his LOI with Indiana in favor of the Memphis Tigers. This week, with Ebanks’ high school career officially in the books, (his squad lost last night to Armon Bassett’s own Hargrave Military Academy 98-75) it’s looking like talk of Ebanks going elsewhere is intensifying. It appears unlikely that the 6-foot-9 Ebanks, who had 22 points in the Hargrave game, will attend Indiana given the recent firing of Kelvin Sampson and a handful of schools appear to be in the running for his services, including Memphis, Rutgers and Texas. St. Thomas More head coach Jere Quinn said he planned to meet later this week with Ebanks, his mother, Yvonne Jackson and Ebanks’ AAU people, including Lawrence McGugins, the head of Team Takeover. Memphis has made a push with Ebanks, and Quinn said that might be an option. At this point, save for some Herculean effort by the IU coaching staff — and which coaching staff would that be? old or new? — it looks like Ebanks is peacing out of Bloomington before he even got there. And really, who can blame him. There’s a lot of talk about kids playing for “the name on the front of the jersey,” but I just don’t think that’s the case anymore. Kids come to schools because of the head coach and his staff first and foremost, everything else is just an added bonus. Might want to ask Eric Gordon about that one. No, the article states that his coach said Memphis contacted him and his AAU coach, not Ebanks himself. As well, Memphis was one of the main schools recruiting him before he committed here, so they were most likely just picking up where they left off. As much as I don't like to hear of talent leaving IU, Calipari runs a clean program in Memphis and we should give him his due. Let's not stoop to the level that Illinois did with us when EG came to Bloomington. We make ourselves look bad when we disparage everybody else. Calipari runs a first-rate program down there (definitely not a mid-major team even though they are in that league) and we should just let the kid decide for himself and move on. If he ends up deciding to stay, that's fine too. All of this is just an extension of the whole Sampson mess, and we'll deal with it and move on to rebuild next season and be fine. Both Ebanks and Indiana agreed that if there was a coaching change than Ebanks would be let out of his LOI. In addition, we'll see some type of NCAA sanctions over this. A lot has changed since Ebanks signed his LOI. Memphis? Yes, Memphis. Basketball facilities? Fed Ex Forum–enough said. Academics? I went to Memphis and I know that hypocrisy is spelled with a “y” and not an “i”. Speaking of hypocrisy, it's interesting that another poster put down Memphis for losing in the Elite 8 the last two years, when your beloved Hoosiers failed to make the Sweet Sixteen. 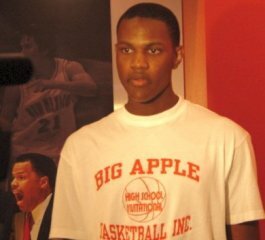 The real question is why would Ebanks have signed with Indiana in the first place. But, I guess we all know the real answer to that. Well, IU used to have a top program. Today, they can only wish that their program will one day be at the level of Memphis. You guys are all a bit off target. From this article and everything else I've heard, Ebanks' HS and AAU coaches have reached out to Memphis, but there has been no contacting of anyone from Ebanks' side by Memphis to date. Calipari obviously knows the rules. He's hasn't coached for this long to not know how to handle NLI's.